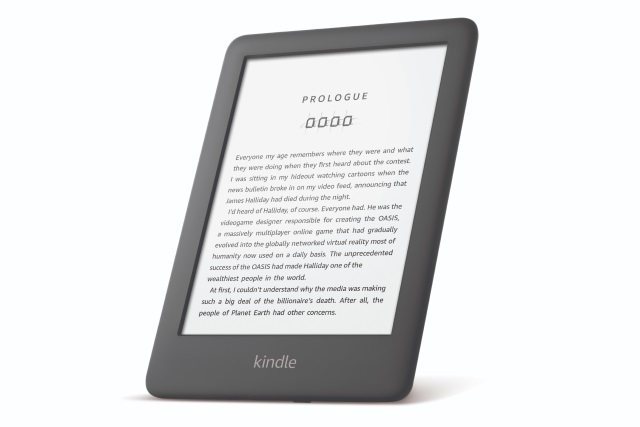 Amazon refers to the design of the all-new Kindle as "refereshed", maintaining its thin and light aesthetics. The design of the new Kindle is similar to that of the Paperwhite, but the similarities soon stop. The 6-inch e-ink device is available in either black or white, and features a 167 ppi glare-free display -- a marked difference to the 300 ppi of the Paperwhite. This latest model is 4mm thinner than its predecessor but, at 174g, it is 13g heavier. Contrast has been improved to allow for easier reading, and the screen has been updated to help eliminate accidental page swipes. The all-new Kindle is available for pre-order today starting at $89.99; three months of Kindle Unlimited is included for free. Shipping commences April 10.